Jaguar has revealed the production version of its first all-electric SUV as luxury carmakers race to go green. The I-Pace can reach 60mph in 4.5 seconds and has a range of almost 300 miles on a fully charged battery. The vehicle is set to reach showrooms by July, potentially beating rival Audi’s all-electric e-tron that is expected to be released “in the summer”. The I-Pace was designed in the UK but will be built in Austria. It will go on display at the Geneva motor show later this month and cost £63,495 in the UK. The I-Pace can charge up to 85% of its battery from a public power point in 85 minutes and takes about two hours for a full charge. The car is the first all-electric SUV since Tesla unveiled its Model X in 2015. Luxury carmakers are keen to make inroads into the market for clean energy vehicles as demand for fossil-fuel powered models wanes. Last year, the government announced that new diesel and petrol cars and vans will be banned in the UK from 2040 in a bid to tackle air pollution. 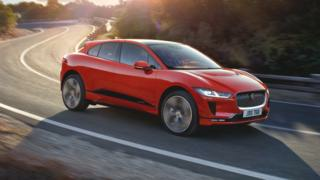 Jaguar Land Rover said that every vehicle line it launches from 2020 will have an all-electric or hybrid version. Germany’s BMW is also planning all-electric models and hybrid vehicles and its first electric Mini will be released next year. Jaguar said that its new I-Pace was inspired by its C-X75 supercar driven by the villainous Mr Hinx during a car chase in the James Bond film Spectre. It added that the I-Pace has been tested to extremes and able to operate at minus 40C – 10 degrees colder than conventional electric vehicles.